Come celebrate Judith’s 75th birthday at the Dairy Arts Center in Boulder, Colorado and view exhibitions of works by Judith and 45 of her friends, mentors, and students from around the world. The exhibit is in two parts—a group show with new work from Susan Else, Barbara Lee Smith, Joan Schulze, Patty Hawkins, Regina Benson and many more special friends, and a solo show of Judith’s newest work. 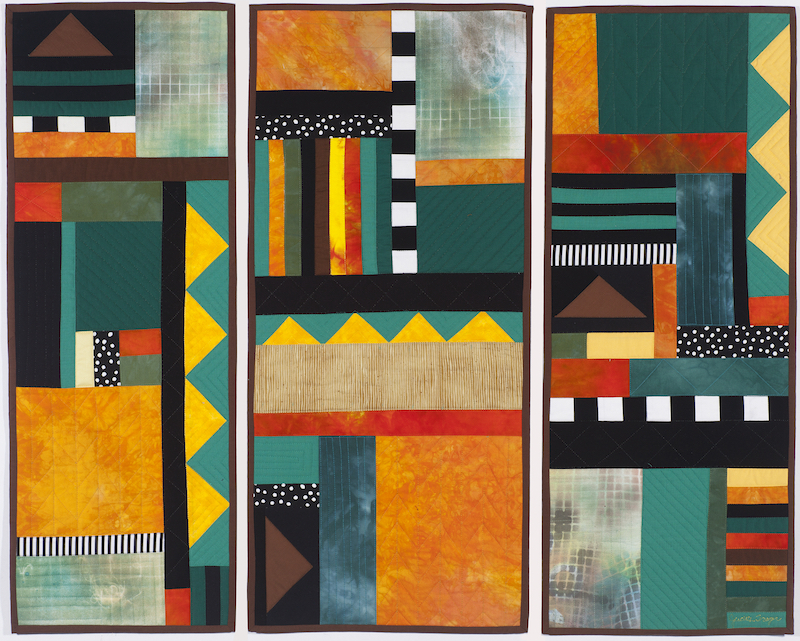 The gala 75 Opening Reception will be followed by the Studio Art Quilt Associates-sponsored NEXT Symposium that explores new trends in the art quilt. 5 – 8 p.m. 9:30 a.m. – 4:30 p.m.
All at the Dairy Arts Center, 26th and Walnut Streets, Boulder, Colorado 80303. For further information, and symposium registration contact, visit.